I watched 125 movies in 2016. As has become my ritual, I kept a list of each and every film I watched. Typical for me - some of the movies I saw were repeats, some new releases, some new-to-me. Alicia Vikander is what makes this movie so phenomenal in my opinion. Eddie Redmayne is fantastic of course, but for me the heart of the story was Gerda and how she dealt with her husband transitioning to a woman. Alicia's acting was so spot on that I felt each and every one of her emotions. A sad, but beautiful film. A hard movie to watch given the subject matter, but an important story that needed to be told. Disturbing things happen in the world all the time and it's vital we bring them into the light, so we might someday rid the world of darkness. A well-written film and well-acted by all. I absolutely adored this movie. It was such a great ride; a real adventure for my imagination. It was inventive, visually stunning, and very funny. My favourite film of 2016. 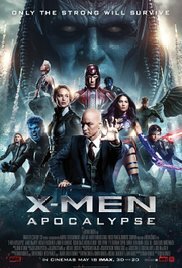 I'm a sucker for all things Marvel and I really thought this film was up there amongst the best in the MCU. It's a fun adventure. And unlike the 'similar', but very poor, Batman V Superman movie, where there seemed to be no valid reason for their fighting, I felt Civil War made sense. Especially the final fight between Cap and Tony. I could see how two friends might find themselves in a fight like that, given the circumstances. I don't understand why this movie got so many bad reviews. I thoroughly enjoyed it! It was fun to watch and I thought Oscar Isaac did a great job as Apocalypse. I was happy to see my favourite mutants together again onscreen. It entertained me. You can't fault a movie where Tina Fey and Amy Poehler get up to all kinds of shenanigans while hosting a blow-out party in their childhood home. This film is very, very funny. Speaking of funny, Deadpool is outrageously so. The humour is in your face, it's morbid, and it's very, very clever. I loved that this wasn't your standard-issue superhero film, that it made fun of those films while at the same time hitting every mark that is expecting of such a movie. Ryan Reynolds is superb. I haven't laughed that hard at a film in a long time. Brilliant! I'd never heard of this film, but seeing as I adore Paul Rudd I was keen to give it a go. I'm glad I did. It's a touching story and it surprised me - it wasn't too predictable, which I found refreshing. It's funny while being very heartwarming, and the acting was fantastic by all involved. A great film. What a beautiful film this is, with a phenomenal performance by Saoirse Ronan. It's sad yet heartwarming, full of both hope and despair. It's really only a simple story of a young girl awakening into adulthood, but it's wonderfully told and very well-acted. I loved it. This thriller was intense and at times scary to watch. I love Jason Bateman so I wanted to see this film, but he isn't his usual comedic self here - there's a darkness to his character. Written and directed by Joel Edgerton, who also gives a great performance, this movie left me feeling creeped out and a little horrified - just what a good suspense movie is supposed to do. This movie was a pleasant surprise as I'd never heard of it before. I figured it would be the usual Hugh Grant romcom fare, but in fact it was a lot better than that. It's a more mature Hugh, and a more mature story. 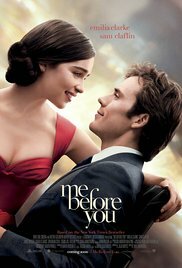 Yes it's funny and sweet, like any romcom should be, but there was something more to it. It was realistic and touching. I loved this story. 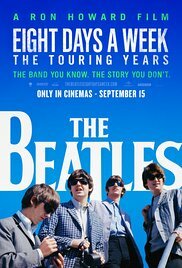 Memorable Moment - I adored this documentary film about The Beatles and their touring years. I was aware of 'Beatlemania', but watching the clips of screaming girls in this movie really brought it home to me the absolute mayhem that followed The Beatles wherever they went. It really was pandemonium. Watching the scenes from their concert in Shea Stadium, with thousands of girls screaming so loud it is hard to hear the music, I can see why the band quickly got sick of touring. My memorable moment is a short clip involving John Lennon. In America he is asked by a reporter "Which one are you?" He replies "Eric." That's funny enough in itself, as it shows the cheekiness of John - something that all the band possessed and was partly what made them so appealing. It's a sweet moment; witnessing John's sense of humour. But what made this moment even more memorable for me was the stupidity of the reporter. After John calls himself Eric, the reporter goes on to address him by that name. How ridiculous! Not only did the reporter not know who John was, he obviously didn't know the names of any of The Beatles! He didn't even notice that John was having a laugh at his expense. It's a brilliantly funny moment that had me laughing for a long time. "I came to get down. I came to get down. So get out your seats and jump around. Jump around...Jump up, jump up and get down." Memorable Moment - The hilarious Bridget Jones' Baby opens with a scene familiar to all Bridget fans - she sits in her flat, in her pjs, on her birthday, alone...listening to 'All By Myself'. It's quintessential Bridget Jones and the perfect way to re-introduce the audience to this beloved character after so many years. But then something happens. Bridget tells 'All By Myself' to f* off and she switches the radio to 'Jump Around' by House of Pain. Wine glass in hand, Bridget does indeed jump around her flat, miming the rap lyrics and dancing her cares away. That's one great opener - it show us the character as we know and love her, but then changes things up to give us an insight into the Bridget Jones she is now - 43 years old, still a spinster, but no longer the star of her own pity party. This is a wiser Bridget, a more confident Bridget, and she's about to give us a laugh-out-loud dose of 'geriatric pregnancy'. If you know Bridget Jones, you know there are all kinds of craziness our hapless heroine can find herself in, especially with a baby on board. I wasn't sure if this sequel would have the Bridget-magic, after all these years, but that opening scene couldn't have been better - it hooked me right from the start and I was happy to spend two more hours with Bridget. "Am I OK? Am I OK?" Memorable Moment - This is an intense movie throughout, but one particular scene left me in floods of tears. Rachel McAdams plays Maureen, the wife of boxer Billy Hope (Jake Gyllenhaal), and on an evening out she gets caught in the crossfire after Billy gets into a brawl with another pro fighter. What comes next is in my opinion one of the best death scenes ever - it is very well acted, acutely emotional and heartbreakingly realistic. As Maureen clutches her gunshot wound, she asks Billy "Am I OK?" That was the moment I burst into tears. For me, that seems so genuine - I could imagine that question being asked in real life, if someone had just suffered a fatal injury and yet they are still conscious. That's the saddest part of this scene - Maureen is alive, covered in blood, coughing up blood, saying she wants to go home, for a long few minutes. All the while Billy is crying for help and talking to his beloved wife, asking her to hold on. Both Rachel and Jake, two superb actors, give outstanding performances here. It's absolutely devastating to watch, and is a scene that stays with you long after the movie ends. "You're better than me. But the rest of us need you to lead us to places we wouldn't otherwise go." Memorable Moment - In this film Bradley Cooper plays Adam Jones - a two-star Michelin chef who is also a recovering drug addict. Adam has done a lot of damage to those he knows and loves. He's caused a lot of pain - especially to some of his fellow chefs, whose careers he managed to wreck when his entire life collapsed. One chef is his rival Reece, who is in no hurry to forgive Adam. The scene I believe is the film's memorable moment is when Adam turns up to Reece's restaurant drunk. Adam is reckless and out of control. At one point he attempts to suffocate himself with a plastic sous vide bag. Reece rips the bag from Adam's face and holds him in his arms when Adam breaks down in floods of tears. I think this is such a powerful scene because these two men are enemies, and yet Reece has enough heart to see that Adam is at rock bottom and he needs someone to help him, not fight with him. It's a true moment of compassion, of putting your anger aside to be present for another human being. Reece could have thrown Adam out, turned his back on him and felt no regret for doing so. But he chooses to be a friend instead. It's distressing to see Adam so desperate, but the way Reece accepts him and looks out for him is heart-warming. It's a beautiful scene of vulnerability and mercy. "I've never felt power like this before." Memorable Moment - For those who have yet to see this latest X-Men film, I won't reveal exactly what happens in the scene I've picked as my memorable moment. But I will say this - it involves Apocalypse, Charles Xavier...and Cerebro. Something I can focus on without spoilers is the fact that this powerful scene is accompanied by the allegretto from Beethoven's Symphony No.7. And in my opinion it is this piece of music that absolutely makes this scene, bringing a fairly standard hero-meets-villain moment to a whole other level. As the music thundered in my ears, I could feel Apocalypse's power; it was almost as if I myself was Charles, plugged in to Cerebro, connecting to the energy of the world's first mutant. That's the magic of music - it has the ability to awaken all kinds of emotions in us. Choosing the perfect song for a movie scene can elevate that scene from run-of-the-mill, seen-it-before, to blow-my-mind extraordinary. A well-placed piece of music can make a film better, and it can bring a certain track to the attention of a new generation of listeners. That's especially true when classical music such as Beethoven's is used. Here's an example - when I searched for Symphony No.7 on You Tube the comments were full of people who had purposely gone there to find it after watching X-Men: Apocalypse. One brief moment of music in a single movie scene brought people together, gave them a common interest and a way to connect to one another. That's the power of music.